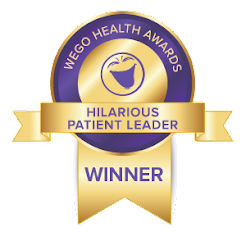 As legend has it, ABSOT originally began as a guide for newly-diagnosed testicular cancer patients – the resource I wish I had had when I first heard the words, “You have cancer.” However, the mission changed into educating the general public about the importance of discussing men’s health when I found the 2016 MENtion It survey done by the Cleveland Clinic. This was one of the first surveys that showed clearly that men don’t always necessarily take their health seriously, and I incorporated into one of the first pieces on ABSOT about my reluctance to call a doctor. Since then, I’ve referenced those stats multiple times in my writing and awareness work but never had personal contact with the Clinic. A few weeks ago, I was pleasantly surprised to see the results of the 2018 MENtion It survey land in my Gmail inbox. 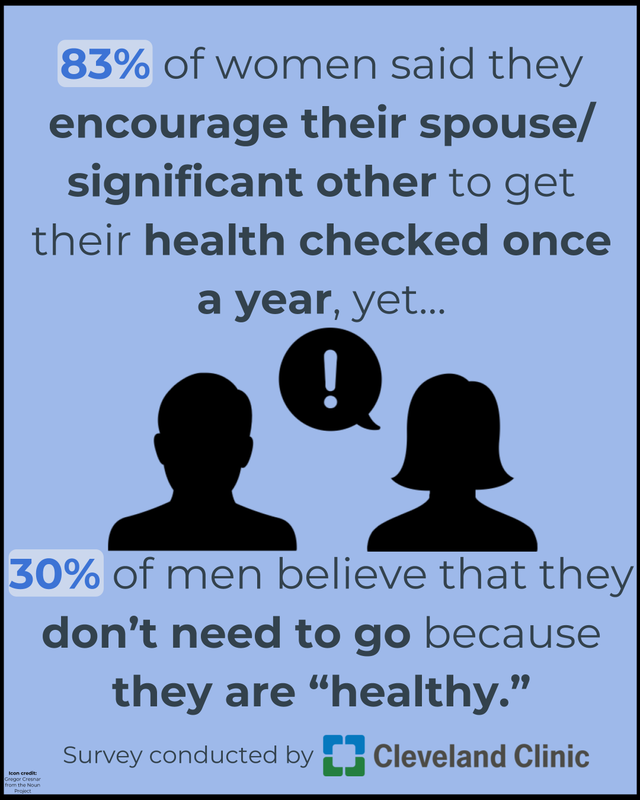 Now in its third year, the theme of this year’s survey is analyzing how men’s health is influenced by female spouses. The email also mentioned an opportunity to speak one-on-one with Dr. Charles Modlin, a urologist at the Cleveland Clinic and the founder/director of Cleveland Clinic’s Minority Men’s Health Center. I eagerly accepted the offer, which led to the following fantastic conversation. Realizing all of these factors, the Cleveland Clinic started the MENtion It campaign in 2016 to do more to encourage men to take better care of themselves. On a good note, the 2018 MENtion It survey also mentioned that 59% of men would see a doctor promptly for changes in their testicles and 49% of men would see a doctor immediately for testicular pain. However, the majority of men aren’t actively looking for these problems. The survey found that only 41% of men under the age of 35 regularly do testicular self-exams. 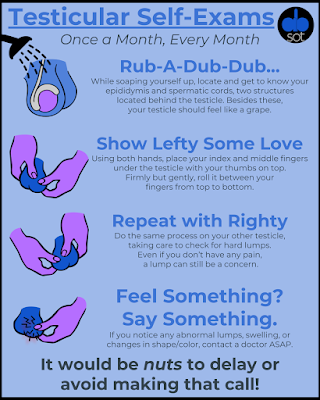 This aligns with findings from the CACTI study from earlier in 2018 (more than 1 in 3 of all men polled have never been told about the importance of a monthly testicular self-exam) and a 2016 study by the Testicular Cancer Society (only 42% of men know how to do a self-exam). When asked for his reaction to these studies, Dr. Modlin stated that he was surprised that the statistics were that high and would have assumed that they were lower. I also shared the study ABSOT ran that found that 78% of men weren’t taught how to do a self-exam at their most recent physical, and asked why the ball has been dropped on this particular information. As a public school teacher, this made total sense to me. Just like I’ve felt pressure to do more with less, doctors are feeling many of the same stressors. In either case – this isn’t an excuse; it’s simply the reality of our society. ABSOT’s mission isn’t just to bemoan the state of men’s health – it’s to improve the care and attention it receives. I asked Dr. Modlin how healthcare professionals and health activists can work together to right this course. He suggested a three-pronged approach. I used to joke that I was 25 and had a urologist, but Dr. Modlin said this should be the norm, not the exception. He didn’t mean that urologists should replace primary care physicians; they should augment care. 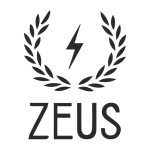 The primary care physician can focus on the aforementioned general issues and allow the urologist to focus on men’s health issues, similar to how gynecologists work in tandem with women’s doctors on their specific needs. For this to be successful, two things need to happen. We must begin educating people that men need to start seeing a urologist far before the traditional 40’s/50’s timeframe. 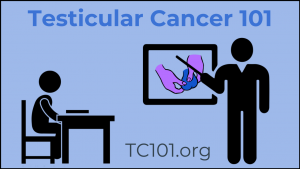 Dr. Modlin said as early as 15 (the same age in which testicular cancer begins to become more common) wouldn’t be a bad idea. In addition, the digital age of medical records has definitely helped put collaboration between primary care physicians and radiologists on the right path. Dr. Modlin said that e-consultations and phone calls between the medical professionals are common, but it’s also important for doctors to physically refer patients to specialists. On the Titanic, it was women and children first, and men – if there was room. Dr. Modlin mused that this attitude had been adopted throughout society, and though putting others first is kind, it can be deadly when it comes to personal health. Without being politically incorrect, according to him, “historically the men were the ones that went off to war. It was the belief that men were expendable.” This notion that men were expected to endure danger contributes to modern feelings towards personal health. 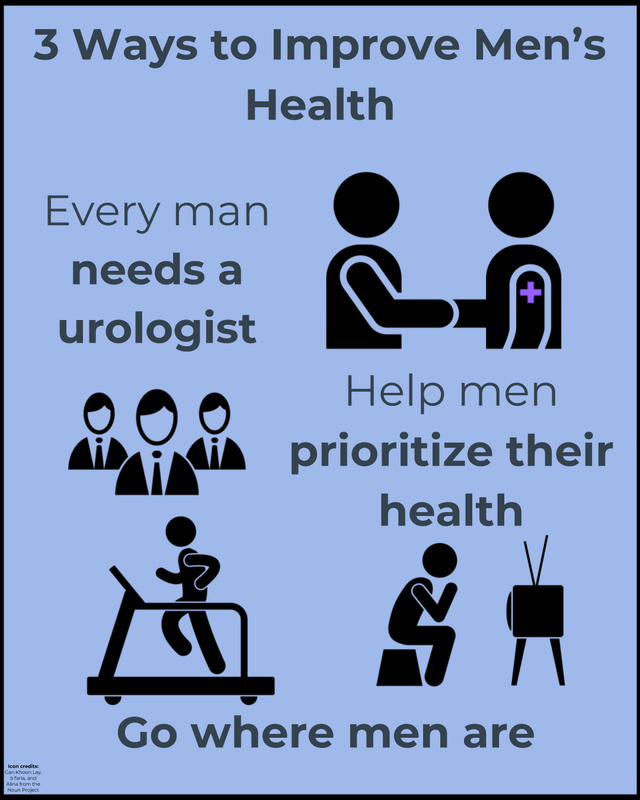 While healthcare is a personal responsibility, and men need to start prioritizing it, we also need to place more emphasis on men’s health as a society as a whole. I always find it ironic that my analytics on ABSOT and Instagram show that my viewership is primarily women. While it must be my endless charisma, my roguish good looks, and the allure of what a man with one testicle must be like, sadly, they’re not my target audience. This isn’t surprising however, since the major users of most social media are women (with YouTube being a notable exception). We need men talking with men about men’s health where men are hanging out with other men – places like work, barbershops, gyms, bars, and places where sportsing happens. If you look at the world through my eyeballs, you’d be amazed how many opportunities for talking about balls and other men’s health issues present themselves in these areas. According to the 2017 American Time Use Survey, men spend more time than women do working, exercising, and watching television. While the above mentioned ideas cover the work and exercise components, a push for national media coverage would help reach the men who watch TV or stream online. Dr. Modlin and I agreed that there needs to be a collaboration between healthcare professionals and men’s health activists to make this work. My voice alone (as someone who is seemingly obsessed with testicles) doesn’t carry much weight by itself, just as a medical facility’s message can be augmented with a “Regular Joe Everyone” voice. Let’s join together to grab this mission by the balls and make it into a reality. Again, the disparity between women and males as far as annual screenings, etc. is alarming! I grew up with a father who was a Urologist, my late younger brother was a Urologist, yet not one of them mentioned TC or testicular exams. Before we moved from GA to TN in August 2016 my sons did see a Pediatrician who made it a point to exam their testicles at yearly well visit. However, the Family Physician we transferred to in August 2016 did not. 4 months later Grant approached me at age 17 to tell me about his painful, enlarged right testicle. So glad he was able to share the info with me, it had been bothering him for weeks. If ONLY the the doctor he saw back in August had done such an exam!!! !